If you’ve used a computer for any length of time you’ll be familiar with partition sizes, partition types during the setup phase but what about later on down the line? I’ve done it myself being overcautious or forgetting to create a spare one just for data. And so the search for Mac Partition manager brings us nicely onto this review. My review mac was a mess when I got it. The earlier user had formatted with the GUID partition table, I wanted to expand the disk, couldn’t and after an insane amount fo time I ended up trashing the hard drive and starting from scratch, creating 2 partitions that I thought “would be big enough”. As always my calculations were hopeless and thankfully Stellar Software offered us a trial of Stellar Partition Manager to get me out of this bind. Partition managers can suffer from bloat overload or complex terms which make it all too easy to press a wrong option and so thankfully Stellar have stayed simple and some might say, slightly dated interface of their product range. 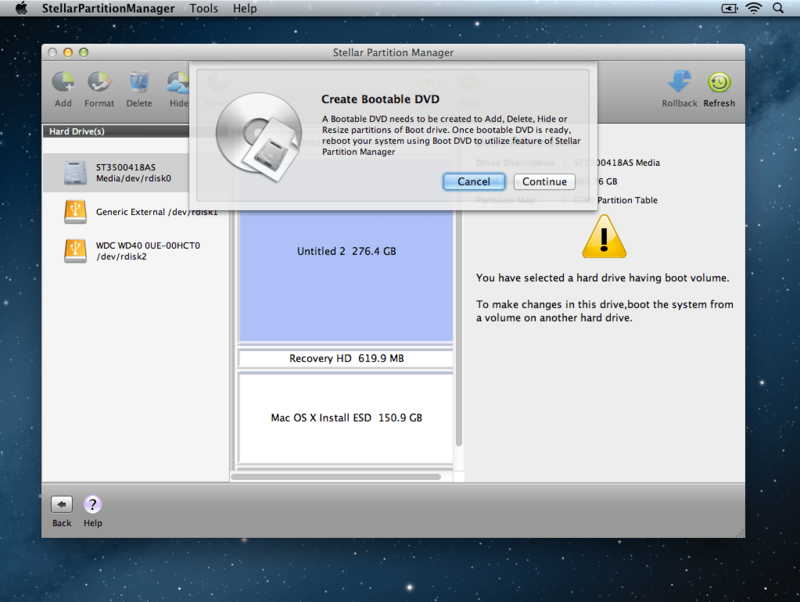 The bootable version of Stellar Partition Manager For Mac looks pretty much the same as it’s desktop counterpart but obviously without all my desktop stuff cluttering up the place. When you are ready to get down to resizing a partition it’s a simple matter of using grab handles to get the size you want. How long it takes to perform those tasks is down to your system. On my SSD 3 drive connected via USB 2 it was blisteringly fast. Those running hdd’s will find the experience a touch slower of course. So far all in all Stellar have produced something that works just fine but fora few small niggly issues that granted could just be an edge case for me. 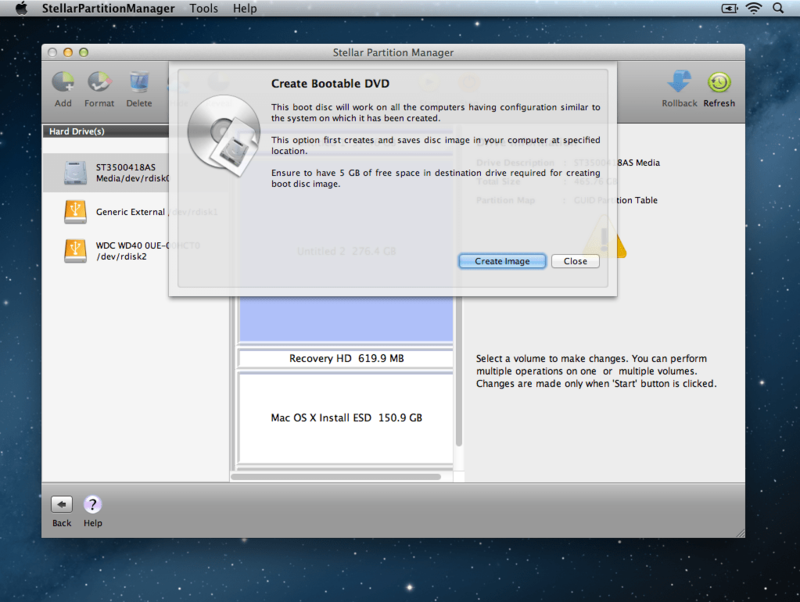 Using a 1TB which was split evenly into 2 partitions, installing an OS I realised that it should have been 3. Alas you can’t split an active partition only create a new partition in the free space. If you only have a few gb or mb spare to create a new partition that might work but I did get an error message as shown above. How much of a deal breaker that is really depends on your case usage. The lesson here for the day is have a good think before doing anything with partition managers in general. It’s a small, neat, simple to use utility that helps out with managing hard drive partitions. I miss that ability to take a chunk of free space on an active partition and create something new instead of being limited to free space.